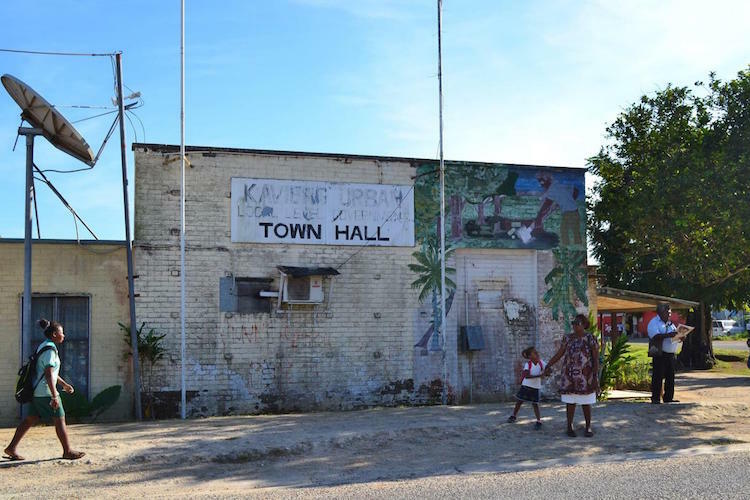 A High Court judge has agreed that a legal claim against UK based mining giant Vedanta Resources Plc and its subsidiary Konkola Copper Mines (KCM), on behalf of 1,826 Zambian villagers can proceed in the UK Courts. In his ruling, handed down today, Mr Justice Coulson granted jurisdiction over the claims, which involve allegations of serious environmental pollution, and rejected the Defendants’ arguments that the cases must be brought in Zambia. The judgment follows a hearing in April this year where the court heard arguments from the Defendants, Vedanta, one of the UK’s largest mining companies with an asset base of US$37 billion, and its Zambian subsidiary KCM, against the jurisdiction of the English courts to try the claims. Both UK-based Vedanta and Zambian KCM argued that the UK court had no jurisdiction to try the claims against them. Lawyers for the mining companies argued that the claims against both Defendants should be tried in Zambia because the Claimants are Zambian and the damage occurred in Zambia. However, Leigh Day, the lawyers for the claimants, argued that the cases should be tried by the English courts. They argued that under EU law the Claimants had a legal right to bring a claim against UK-based Vedanta. They also argued that Vedanta should bear equal legal responsibility, given its control over its mining subsidiary, the profit it makes from the mine and its alleged knowledge of the pollution. The Claimants’ lawyers further argued that KCM was a necessary and proper party to the claims and that there was a real risk that they would not achieve justice if the claims are not tried in the UK. Mr Justice Coulson rejected the arguments of both Defendants. He agreed that the Claimants had a legal right to bring their claim against the UK company Vedanta under EU law, upholding the EU case of Owusu and finding that it applied to group action claims. In his judgment Mr Justice Coulson also referred to the judgment in U & M Mining Zambia Ltd v Konkola Copper Mines PLC (2014) where the English court had previously found that KCM had repeatedly acted in a dishonest and unjustified manner. Mr Justice Coulson commented on the fact that KCM relied on evidence from a witness who had previously been found to be dishonest. Mr Justice Coulson also stated “KCM may not be able to honour their debts as they fall due” and therefore “a claim against the much wealthier parent company is justified on practical terms too” (paragraph 81 of the judgment). In rejecting KCM’s application and allowing the claim against them to proceed in the UK courts, Mr Justice Coulson made a number of important findings. He found that the claims against KCM had a real prospect of success in part because “there have been, as a matter of record, discharges of toxic effluent from the mine into the relevant waterways” (paragraph 99(b) of the judgment) and because “there is no attempt, in the evidence served on behalf of KCM, to challenge the underlying basis of the claimants’ claim against KCM” (paragraph 99(d) of the judgment). Mr Justice Coulson further found that KCM are a necessary or proper party to the claim against Vedanta and that England is the appropriate place to bring the claim. Mr Justice Coulson rejected the evidence submitted by KCM that the Claimants would be able to pursue their claims in Zambia, stating that, “if these claimants pursued KCM in Zambia, they would not obtain justice” (paragraph 177 of the judgment). The Judge noted that the Claimants are clearly very poor and cannot afford legal representation and there is no alternative method of funding available to them in Zambia including through legal aid. 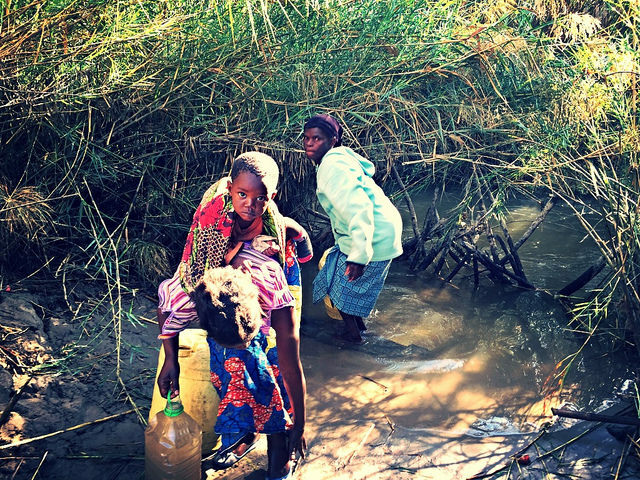 Furthermore, there is a clear lack of lawyers experienced in environmental group litigation in Zambia. Finally, Mr Justice Coulson found that the evidence suggested that these sorts of claims could not be properly litigated in Zambia due to the fact that the few cases that have been attempted have failed. 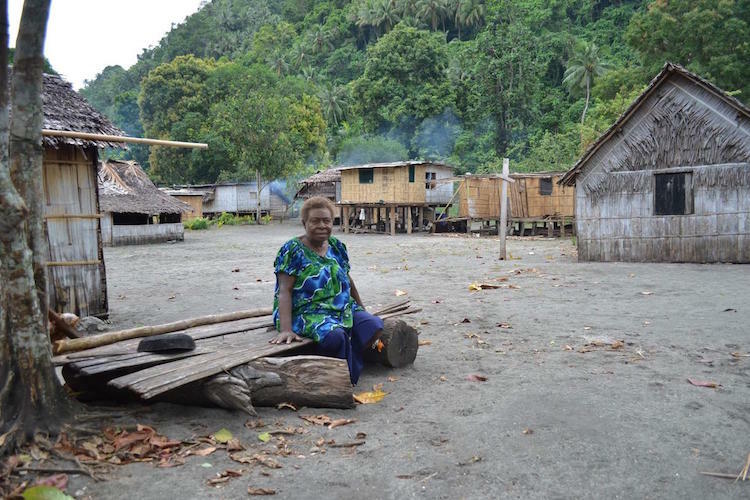 It is interesting to note that President Momis has advised he is deeply concerned at the lengthy period that has elapsed – now about 21 months – while resources giant Rio Tinto has been reviewing the future of its majority shareholding in Bougainville Copper Ltd (BCL). The speaker listed shortly after President Momis on 17 May, 2016 was Mr Peter Taylor, Managing Director, Rio Tinto (PNG) and Bougainville Copper Limited (BCL). It is also interesting to note that at this point in time nothing has been publicly revealed about what Peter Taylor (or his proxy) had to say about his topic, “Resources Opportunities”. 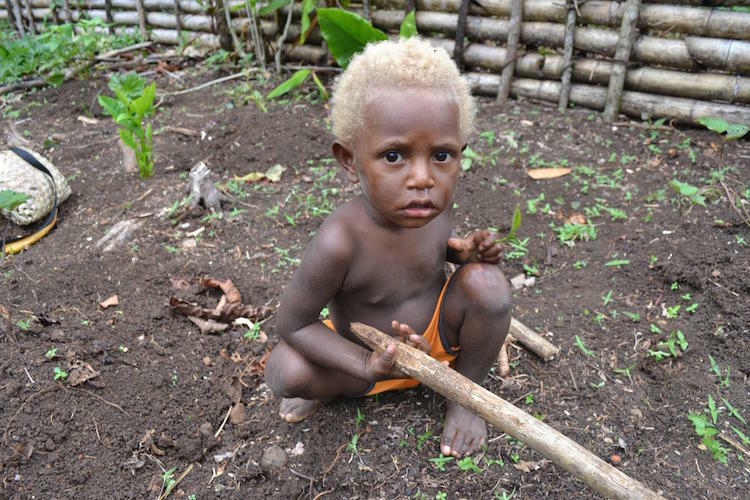 The Speech of President Momis [pdf file 600KB] has been published for the public to read, yet the speech by Peter Taylor, the Managing Director of Rio Tinto (PNG) and Bougainville Copper Limited (BCL) is impossible to find. President Momis heard Peter Taylor’s speech on 17 May, so what are Peter Taylor, Rio Tinto (PNG) and Bougainville Cooper Limitied (BCL) up to? Please explain. Time to reveal all President Momis! THE Bua Urban Youth Network has called on Government to tighten monitoring process of the bauxite mine. In a press release, the organisation believes the task of monitoring rehabilitation works at the Nawailevu mine site should have been given to the Department of Environment. “Bua Urban Youth Network is calling on government agencies responsible to vigorously monitor safety, environmental and social impacts and immediately take mitigating action to address loopholes,” the release said. “A critical part of this monitoring should have been played by the Nawailevu community, but their effective inclusion has consistently been undermined since 2011,” the release said. The release added the tragic accident in which a worker died at the bauxite mine should not have happened. Minister for Labour Semi Koroilavesau said a team was investigating the incident. “The accident has been brought to the attention of our Labasa office on (23/05/16) and our officers have already been deployed to carry out investigations into the accident,” he said. 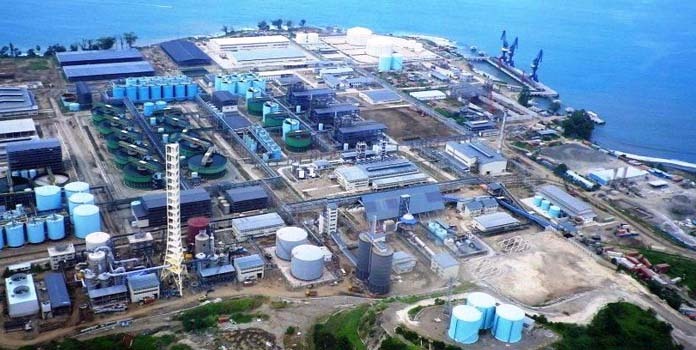 A decision on the Ramu Nickel’s Basamuk refinery operations is pending an independent technical investigation report from the mine management. The Government will make a decision to lift the stop-work order placed only after the report on the fatal incident of April 12 is submitted. The company had been ordered to engage an independent third party to investigate the incident which killed a Chinese national worker and caused bodily injuries to two other national workers. This order follows initial investigations by the Mineral Resources Authority’s Mines Inspectorate on site on April 14 revealing serious unsafe and defective management systems that were prevalent on the high pressure acid leach trains. The report was to be submitted to the Government for assessment and determination on the next course of action. However, Mining Minister Byron Chan said so far Ramu Nickel has not submitted that report despite assurances from the company that it would by May 25 (yesterday). “Basically that is what is causing the delay in addressing the stop-work order. We are waiting for this report from the company which has taken the company about six weeks for them to submit,” he said. Mr Chan said the Government in the meantime has allowed the company to carry out other equipment preservation activities but with conditions that they must not interfere with evidences of the ongoing investigations. “I am aware that the stop work order has not affected the company’s ability to continue to export nickel and cobalt during this period. Meanwhile, the Minister has announced Lave Michael, former deputy Chief Inspector as the new Chief Inspector of Mines, taking over from Mohan Singh. THE Ministry of Labour does not monitor the occupational health and safety standard issues at all mining sites. Minister for Labour Semi Koroilavesau confirmed this yesterday as he responded to questions from this newspaper following the death of 29-year-old Floyd Williams at the bauxite mining site in Bua last Saturday. “The ministry is not aware of any safety concerns raised by the workers in the mines as this area is not regulated by our ministry,” Mr Koroilavesau said. “The Health and Safety at Work Act 1996 applies to all workplaces except those workplaces connected with the Mining Act, Quarries Act, Explosives Act and Petroleum (Exploration and Exploitation) Act. But Mr Koroilavesau assured that investigations had started into the incident in Bua. “The accident has been brought to the attention of our Labasa office and our officers have already been deployed to carry out investigations into the accident. “If a non-compliance issue is identified, various mechanisms such as verbal advice, formal correspondence and issuing of relevant notices, are used to ensure that workplaces meet the minimum OHS standards. Mr Koroilavesau said in cases of a serious offence being committed, legal proceedings were instituted against the person committing the offence. Villagers have embraced offers of new sanitation systems, homes and bridges. But they don’t fully comprehend what Nautilus wants to do starting as early as 2018 at a site 30 kilometers (18.64 miles) off the coast. 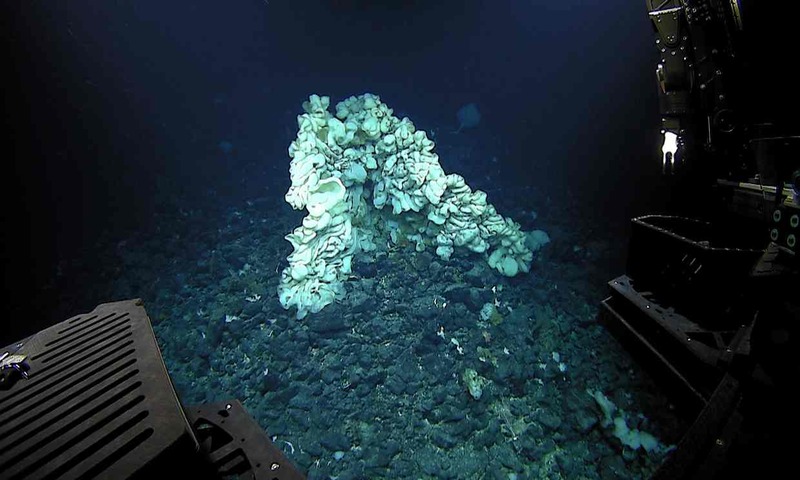 Located about 1,600 meters (5,200 feet) down, the site is home to a network of hydrothermal vents and near an undersea volcano. It’s a harsh environment where mineral-rich water as hot as 400 degrees Celsius (750 degrees Fahrenheit) pours through the vents, meeting icy cold water and forming the concentrations of gold, copper and other minerals that are 10 times what is found in traditional mines on land. There is plenty at stake if the company goes ahead with its ambitions plans. A successful project has the potential to set off a modern day gold rush to the seafloor, a prospect that troubles deep-sea scientists and environmentalists who fear the mining could destroy some of the world’s most diverse and poorly understood ecosystems. The idea of scooping up minerals from the sediments of the world’s oceans has mesmerized adventurers for eons. Manganese nodules were first discovered in the late 19th century in the Kara Sea during the expedition of the H.M.S. Challenger. But it wasn’t until the 1970s that anyone seriously considered tapping the ocean’s riches of gold, silver, zinc, magnesium, iron, cobalt, and copper. “A lot of people laughed at us,” said Julian Malnic, an Australian exploration geologist who started Nautilus in the 1990s and has been described as the godfather of marine mining. “One high-profile commentator suggested we were going to use explosives. They don’t even work down there,” he said. While mining giant Anglo-American at one point had a small stake in Nautilus, none of the other big players have dipped their toes in the water. The sector has mostly dominated by tiny companies with names like Diamond Field International and Neptune Resources that fill their websites with glossy photos and videos of potential sites with a prospector’s air of excitement at the incredible minerals waiting to be mined. No one has yet to do it on a commercially viable scale. 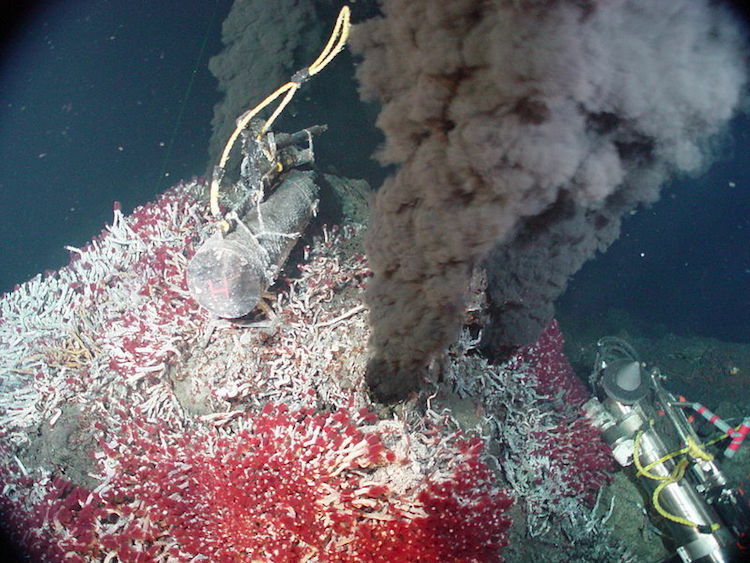 “If you wipe out large areas of seafloor and cause species extinction, you actually change the future of life on earth, how it evolves, if you do it on a large enough scale,” said University of Hawaii’s Craig Smith, a co-author on a paper in Science last year that called for implementing adequate environmental protections for deep sea mining. “We are doing it on terrestrial environments clearly. So far, we haven’t done it on that scale in the deep sea but there is potential if things aren’t managed,” he added. “A lot of people are quite shocked to find out about deep sea mining,” said Helen Rosenbaum of the Deep Sea Mining Campaign, a coalition of anti-mining NGOs from the South Pacific, Australia and Canada, noting that oceans are already under threat from pollution, overfishing and climate change. Malnic first secured rights to the site off PNG’s New Ireland in 1997 after attending a presentation at Australia’s premier scientific institution, the Commonwealth Scientific and Industrial Research Organisation, on the discovery of seafloor massive sulfides at the bottom of the Bismarck Sea. 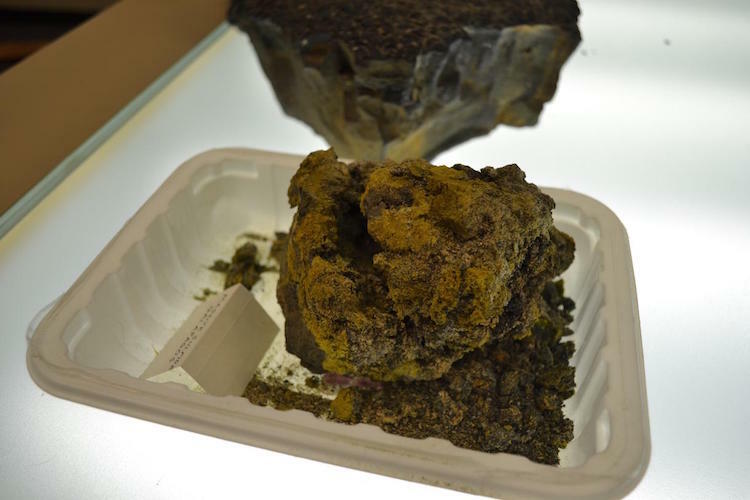 “Here were these beautiful high grade sulfides coming out of the box,” said Malnic, recalling the lecture when the ore from the Bismarck Sea was put on display. Traditional mining companies wouldn’t touch the project and efforts to raise capital came up against, what Malnic calls, “the second half of a nuclear winter of zero capital available for exploration and mineral projects.” But the 1997-98 economic crisis was just beginning. It would be another five years before the crisis eased and a metals market, driven by the emergence of the resource-hungry Chinese economy, started recovering. Soon enough, the suitors started knocking on Nautilus’ doors. It didn’t help that the company was arriving on the back of several high profile mining disasters in PNG, including the spillage of tens of millions tons of waste from the Ok Tedi gold and copper mine that polluted a river on the island that tens of thousands depend on for water. Nautilus and the PNG government also fell out over the government’s failure to contribute its share of developing cost to the project, forcing the dispute into court and almost killing the project. The unstable government — at one point featuring two, dueling prime ministers — didn’t help. But the two sides resolved their differences and the government got a stake in the project’s potentially lucrative intellectual property. The settlement has the easy-going Johnston — a New Zealander who often favors a dress shirt and jeans to a suit and throws in the occasional cuss word when making a point — more bullish than he has been in years. “When we were in the dispute with the government, a lot of people were sitting on the sidelines watching,” said Johnston, who has been credited with repairing relations between the two sides and has been known to spend days in villages counter rumors and allegations against the company. “Now that the dispute is finished, there is a lot of interest again. A lot people want to see us go a little bit further. “What we have seen in the past few years is a huge explosion in activity,” said Michael Lodge, the deputy to the ISA’s secretary-general and legal counsel. For now, much of the action is on building the mining equipment in places like the United States and United Kingdom that has been adapted from technology already in use in the oil and gas, dredging and coal industries. Once it starts, the plans call for lowering several remote-controlled, robotic cutting machines to the seafloor. Mineral-laced rocks will be carved from the seafloor and sent up through riser pipes and lifting systems to a tanker-like ship waiting on the surface. The excess water from the ore will be returned to the sea bottom and the minerals sent to China’s state-owned Tongling Nonferrous Metals Group. Stace Beaulieu, a biological oceanographer at Woods Hole who has spent the past 20 years studying the biodiversity and abundance of life on the ocean’s seafloor, has watched this growing interest in deep sea mining warily. 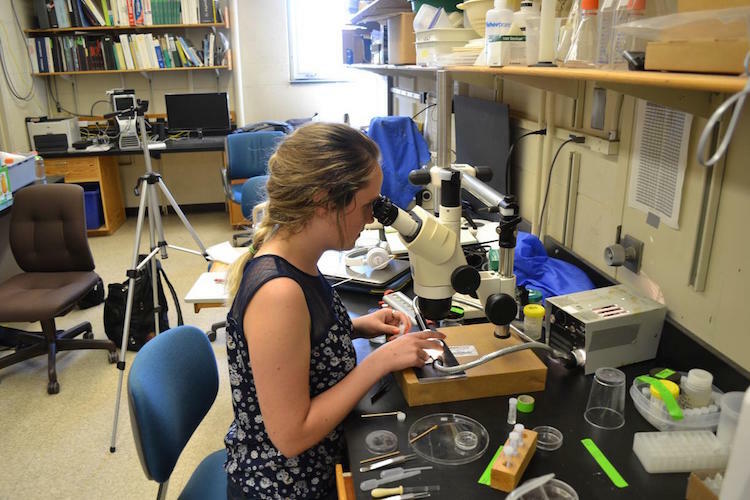 Like the other scientists in Lauren Mullineaux’s lab at Woods Hole who study the world’s hydrothermal vents and other seafloor habitats, the wiry and energetic Beaulieu is passionate about the deep sea. If she isn’t gearing up for a weeks-long journey on a research vessel, the avid runner and biker is hunkered down in her tiny, crowded lab. It’s filled with mementos of past trips including nets and foot-long bottles containing red-tipped tube worms and dozens of preserved samples in ethanol. Just down the road from the lab is the tranquil, ocean-side community of Woods Hole, with its lobster shack, organic coffee shops, and a marina that looks out on Vineyard Sound. Unlike other scientists who may study the seafloor’s large creatures like clams, crabs, or tubeworms, Beaulieu and her lab-mates are more concerned with the macro fauna — the deep sea invertebrate communities including snails, smaller worms, and crustaceans. They are among the most diverse animals on the seafloor and play a critical role in the food web. 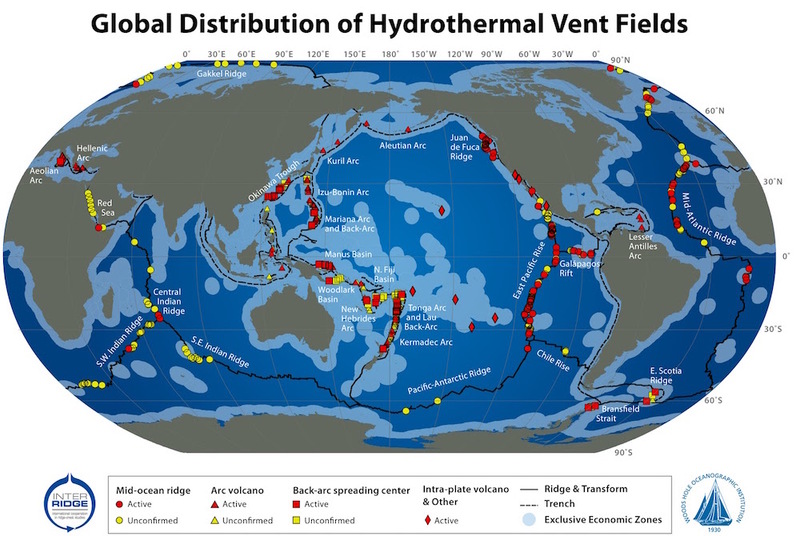 “The thing that caught everyone’s attention when they first discovered the vents was the large numbers and large volumes and large biomass in the animals and communities,” said Mullineaux, who has been on 30 cruises and made nearly 40 dives as part of her work studying the dispersal of larvae of benthic invertebrates and their return to the sea floor. “I’m just working on the data now and the samples are some of the most diverse, have some of the highest species diversity of samples ever collected from the sea floor,” Smith said, who is doing baseline surveys for UK Seabed Resources, noting that each of these quarter square meter samples contain upwards of 60 species of polychaete worms, crustaceans, mollusks and snails. When he is not at sea, Smith is part of a group of scientists helping to shape environmental measures being drawn up by ISA. 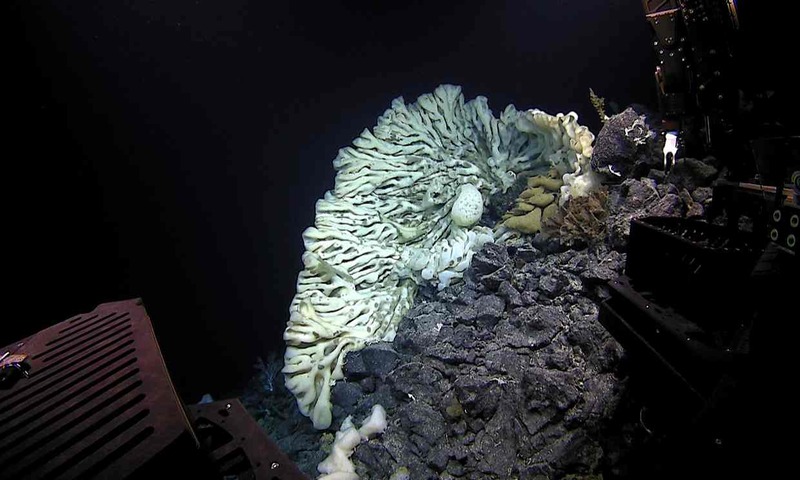 Unlike environmentalists who want an all-out ban on deep sea mining, Smith and others are more pragmatic, arguing mining will happen at some point, so they are trying to determine where it can and can’t go. Duke University’s Cindy Lee Van Dover and other scientists have suggested staggering the mining activity in a certain area, as well as limiting mining to inactive vents that could be easier to mine, but also less important environmentally. Companies should also consider setting aside areas within their sites so the mining impacts can be evaluated and relocating species deemed ecologically significant. Opponents, who for several years have waged a global campaign against the Nautilus project, paint a far grimmer picture. In a series of detailed reports, they warn that storms, spills, or technical snafus could spark a disaster that would wipe out fisheries, destroy some of the world’s most diverse coral reefs, and pollute the waters of coastal communities across the South Pacific. The company is also a regular presence in the villages, conducting surveys and laying the groundwork for its first development projects. Like so many mining companies, they are often tasked with doing the job of the government — which appears to have largely left these remote villagers to fend for themselves. And with little investment until now, even the most basic things need the company’s attention. 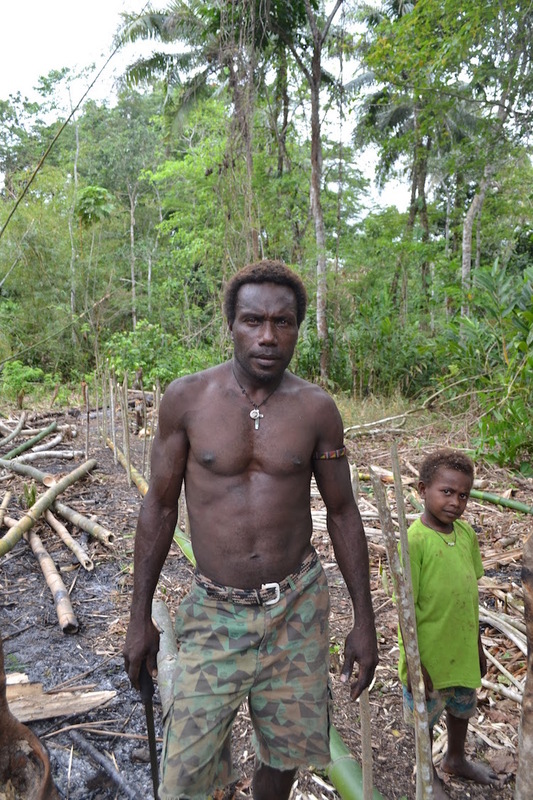 Out in the forest a few miles from the village, Henry Tabu was tending to fires he had lit to clear his land. As the flames reached several feet in the air and the smoke seared his eyes, Tabu, bare-chested and wearing a cross, recalled how he didn’t earn enough money to send all his five children to school. He complained that his tiny plot barely was enough to feed his family.